Mary-Anne Bowring is the founding director of Ringley Chartered Surveyors, a multi-award winning property consultancy based in Camden Town London. Colin Cohen (FIRPM, Assoc RICS) has been a managing agent for more than 25 years. Gerry has been active with the RICS since mid 1980s and chaired the working parties which produced the two editions of the RICS Service Charge Residential Management Code. 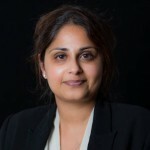 Yashmin Mistry is a partner at JPC Law.